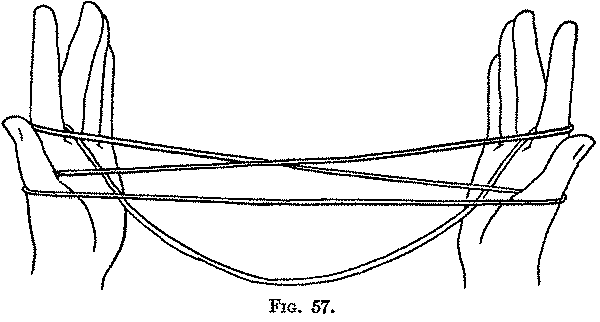 Second: Release the loops from the little fingers, but do not separate the hands; let the long loop hang down (Fig. 57). Third: Toss this long loop toward you over all the other strings and let it hang down on the near side (Fig. 58). 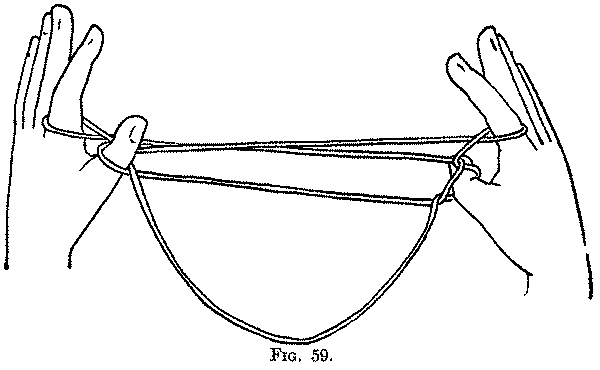 Fourth: Bend each thumb down into its own loop, over that part of the string of the hanging loop which crosses over the thumb loop (Fig. 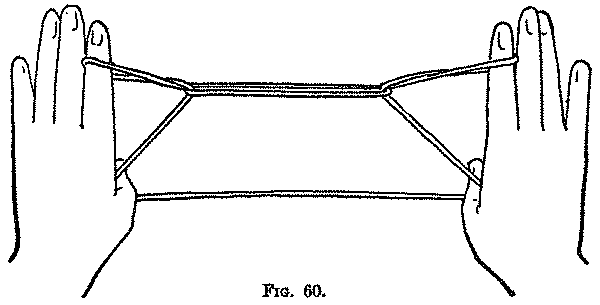 59, Left hand), and let the original thumb loop slip over the knuckle and off the thumb (Fig. 59, Right hand). Then turn the hands with the palms away from you and, drawing the strings tight, extend the figure between the thumbs and index fingers (Fig. 60). 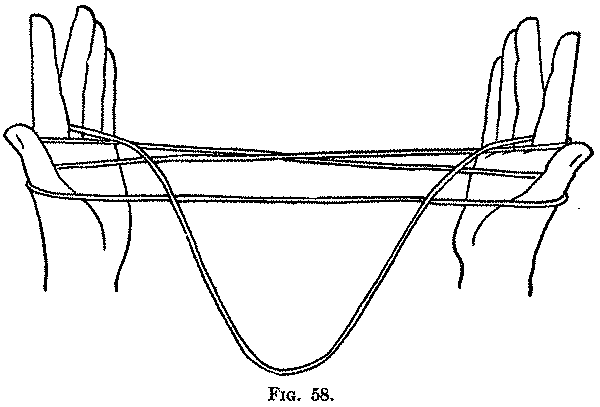 The object of the Third movement is to get each far index finger string into a convenient position for drawing it through the thumb loop. This movement may be done by drawing each far index string toward you on the thumb and then releasing the little finger loops and the original thumb loops.